In its effort to boost the country’s air defense, Vietnam is choosing between Russian Yak-130 and Czech L-39 New Generation planes for its future center for training pilots of supersonic fighter aircraft. In a commentary for Sputnik, aviation expert Makar Aksyonenko said that even though the L-39s have been used by several generations of Russian and foreign Air Force pilots to hone their skills, they have had their day now. “The L-39 is a single-engine plane and its avionics no longer fit that of modern warplanes like Su-30, Su-35 and MiG-35. This means that it can no longer be used as a trainer for modern-day pilots,” Aksyonenko said. He added that unlike the Czech trainer, Russia’s Yak-130 was designed to ensure the pilots’ maximum adaptability to flying modern combat aircraft. “With the Yak-130 you can imitate flying a ground attack plane or a fighter. Besides, it can carry a flurry of modern airborne weapons, which means that would-be pilots are able not only to learn how to fly but also how to fight. 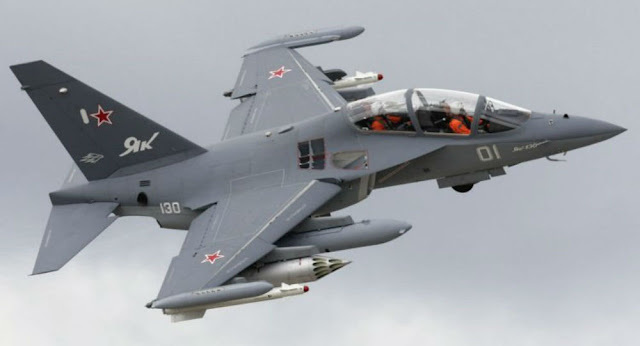 With all these things in mind, the Yak-130 could be a perfect choice for the Vietnamese,” Makar Aksyonenko noted. Vietnam’s Air Defense Command is also mulling the purchase of trainer versions of modern Sukhoi fighter jets for the new center to make sure that it turns out pilots fully prepared for active service. “The Vietnamese need a trainer with characteristics that are as close as possible to those of supersonic warplanes their young pilots will fly on. However, the subsonic Yak-130 is fully equipped to imitate a plane’s behavior in conditions of supersonic flight which is a regime rarely used even by modern fighter jets,” Aksyonenko said. “And again, the economic factor and cost minimization also matter here,” he added.